Leverage the experience and expertise of our resources to design, develop and implement state-of-the-art geospatial solutions to help our clients operate more efficiently and effectively. Complete line of GNSS products that allows users to improve the reliability, consistency and integrity of their geolocalized data acquisition business process. CPAT FLEX is an open, modular egress and ingress monitoring solution that helps broadband operators drastically improve their network operations. Acquiring medium & high-resolution optical and radar satellite images (up to 30 cm) based on your needs. On October 23, the Ordre des géologues du Québec, the Quebec professional association of Geologists, gave two awards recognizing the achievements of its members. 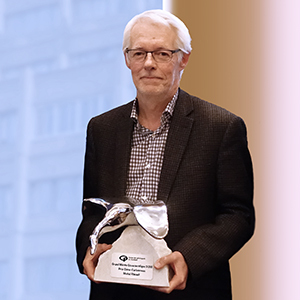 Michel Rheault, Vice-President – Geology at Effigis Geo-Solutions, received the Côme-Carbonneau 2018 High Merit of Geoscience Award. This highest distinction recognizes Michel’s constant and remarkable achievements in serving the field of geology. 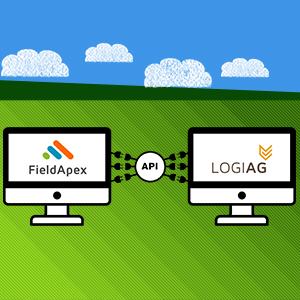 Logiag, an agro-environmental consulting business, and Effigis Geo-Solutions (Effigis), a Quebec-based technology innovation company in geospatial solutions, announced today that they are combining their expertise so Logiag can offer its customers environmental management support plans that include optimizing nitrogen management. Effigis has many career opportunities in the high-tech industry. We are currently seeking several Inspection Laborers for on-site inspection of wooden poles in Quebec. Discover Effigis career opportunities and send us your resume.